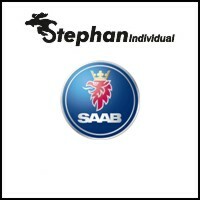 Saab cultivated the tradition of long model cycles. The 9-3 II was introduced to 2002 and significantly improved for the 2008 model year. 2011 followed the next revision. With nearly 10 years of production time, one can speak of 3 different stages of life of the Saab 9-3 II. Saab 9-3 II. A listless start. This reminds me a lot of the classic Saab 900, which began life as Saab 99 and has been constantly improved and redesigned. At its premiere 2002, the 9-3 II was received with some skepticism. Not just the engine press, which almost obsessively engineered an Opel kinship that did not exist. 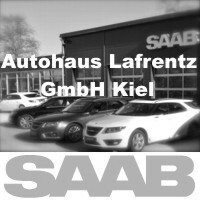 70% of the parts were pure Saab, the rest was shared with the relatives of the GM shelf. The traders were also suspicious, and with good reason. The material selection in the interior was for Saab standards underground, the processing listless, and the longevity could have doubts. 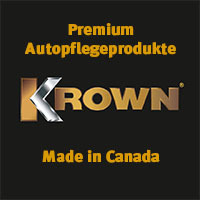 That there was only a limousine 2005 until March, we leave out the convertible, because it will get its own market check, did not make things better. For this Trollhättan provided its own bus system and navigation, which had been developed exclusively by and with Saab. She impressed with unreliability and malfunction. 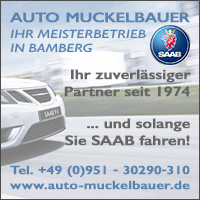 For the first time, there was also a manual 6 gearbox as an option in the smaller Saab series. It came from Opel production, was inaccurate to switch and caused frustration. 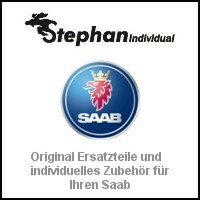 Many customers therefore resorted to the proven 5-gear Saab transmission. 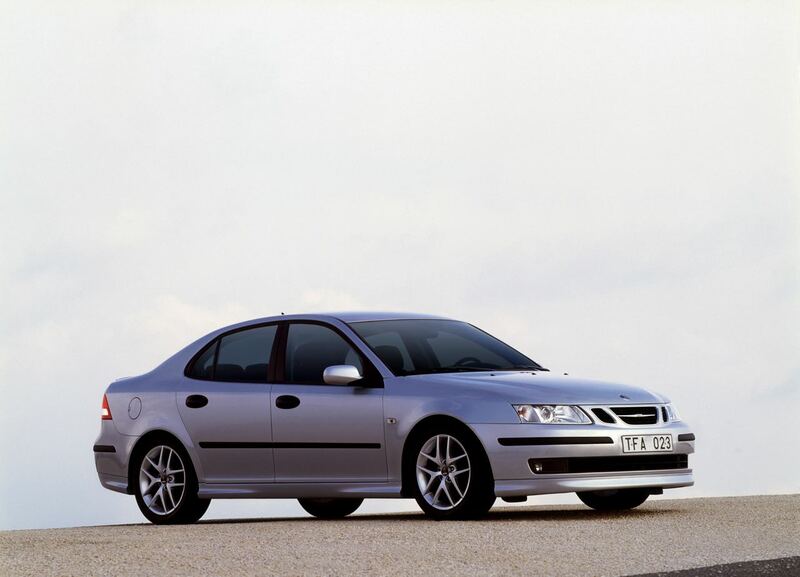 The 9-3 II was certainly the worst car Saab had ever delivered at its launch. But things got better. From year to year you could see a better build quality, even if the materials were cheap. The used car market accurately reflects the product quality of this time. Used 9-3 II early model years are cheap to get. 2.000 or 3.000 € - and you're there. Particularly favorable is the entry, when it comes to a diesel. The used car prices are on the ground and are far below the comparable gasoline. 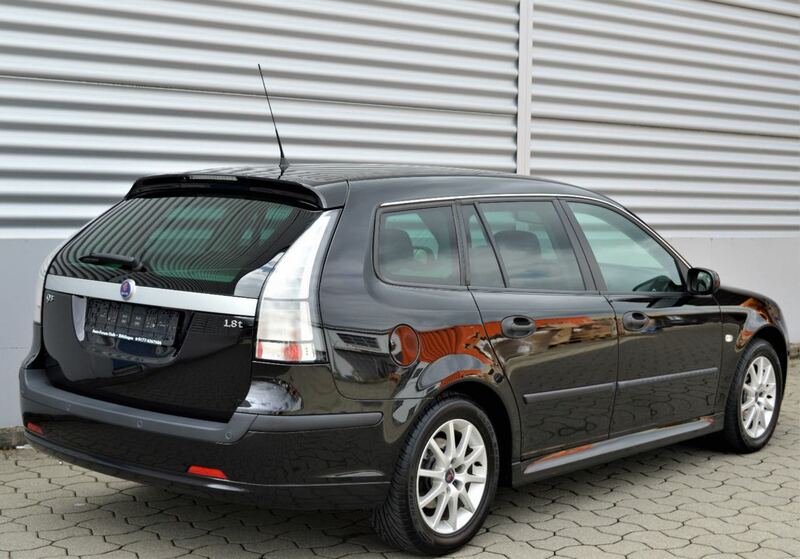 Up to the model year 2006 is the entry for a halfway cultivated copy well below 5.000 € possible. But beware: Important is a continuous maintenance history, and also rust is quite an issue. 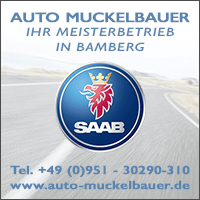 Even the stamp of the Saab dealer in the maintenance booklet does not protect against it. A close look is advisable. Because in the amount of vehicles offered, there are not just worn copies. Saab 9-3 II from a lover's or pensioner's hand surprise by a good condition that one would not have expected so often. They are hardly more expensive than neglected, run-down vehicles, because the market does not give it. But you can be happy with it. Nevertheless, we found some exciting specimens during our market check. 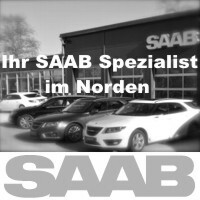 Saab 9-3 1.8t Vector Sports Suit 2007. 83.218 kilometers. The right engine, the most popular color. 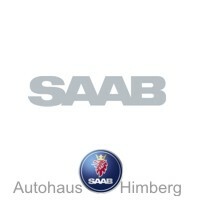 Checkbook maintained at Saab, a beautiful fabric-leather combination in the interior. Significantly below 10.000,00 €. Would mutate with beautiful 17 "or 18" rims, original Saab course, to a real eye-catcher. Is in Böblingen for sale. The 1.8i is hardly popular, and I almost dare not write the word "winter car". 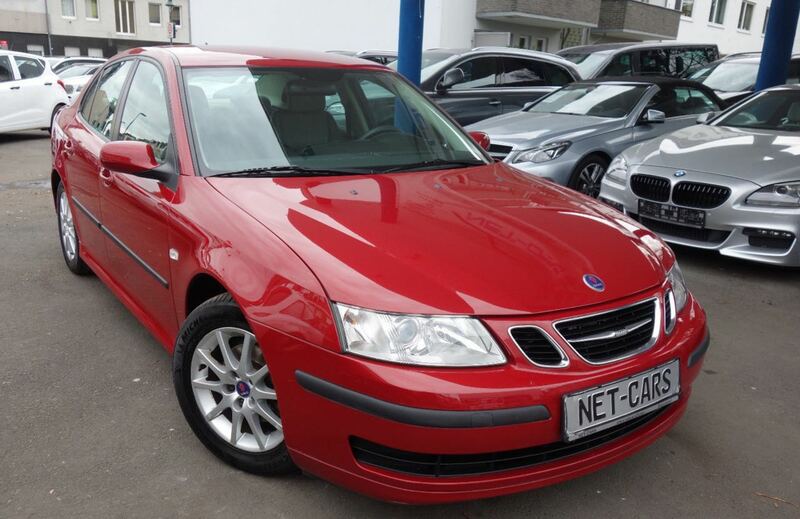 How about this well-kept sedan, as a Saab winter car, when the 9-5 NG stays in the garage? No turbo, but better than the make and change potential for many winters. Is in Dusseldorf for sale. 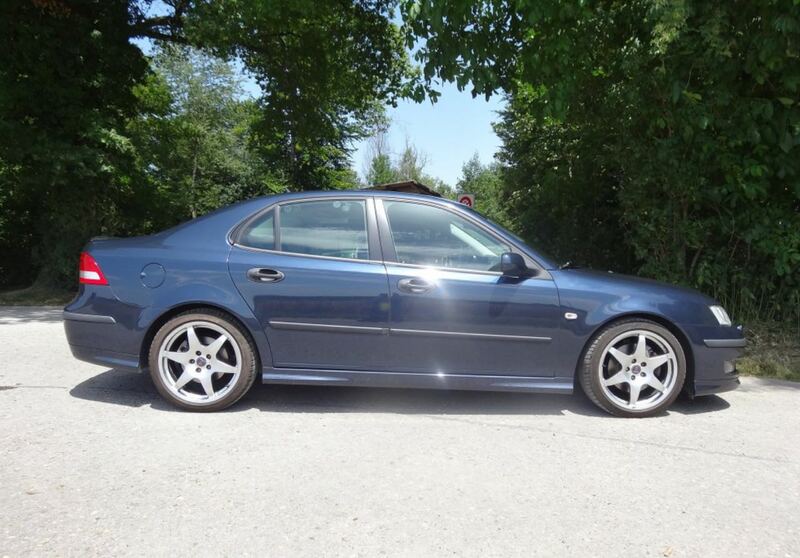 From the lover's hand comes the Saab 9-3 Aero Sedan from blog reader Remo. With Hirsch performance enhancement and accessories like the sport pedals and the deer rims not easy to find. Is for sale near Zurich. The insider tip are the intermediate models of the model year 2007. GM undertook what was necessary and took action. In two steps, the interior and the technology was cleared out first, a year later, the body received a facelift. For model year 2007 better materials moved into the interior. The leather became more durable, the cheap US plastic of the dashboard came to the trash. 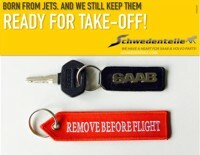 The vulnerable bus system and the navigation were disposed of, the Swedes attacked the corporate shelf. The result was a very well-functioning air conditioning, an acceptable navigation solution and sound systems up to date. The intermediate models wear the fur inside, which can certainly have its charm. 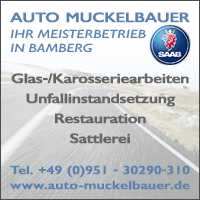 Reasonable station wagons or limousines can be found for sometimes well below 10.000 €. The smartest purchase is the 1.8t engine. He is cheaper than Aero and Co, but it is the same base engine. In conjunction with Hirsch Tuning he makes almost 200 PS, which leaves nothing to be desired. The V6 offers a lot of performance for the smaller budget - but only in the purchase. The consumption is high, the topic of the timing chains should never be ignored. Should it be renewed due to elongation, an 4 digit amount is due. At the lower end of the performance spectrum is the 1.8i. He was never popular with Saab customers because without a turbo. In the network you will always find well-maintained specimens with low mileage and very long lives. The 9-3 II matured at the customer, and at the latest from the year 2007 became a really good car. 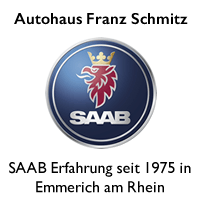 A long-term car by the way, for the 500.000 kilometers mileage is not a problem - if you bet on a petrol engine, which would be recommended in view of the diesel discussion. 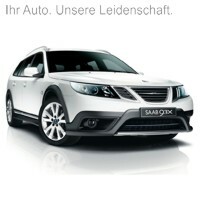 By the way, from the Saab hype, as with the 9-5 NG, the pre-facelift 9-3 was never touched. He is a good car for everyday life, which offers individuality and security for little money. Unfortunately also a car for workshops without Saab experience and for the cheap provider with the 3 letters. 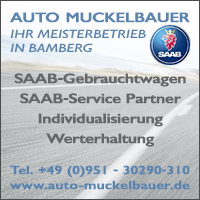 If you are looking for a really good specimen in a well-kept condition, you have to bring patience, because even Saab dealers will hardly find any for the purchase. 17 thoughts too "Market check. 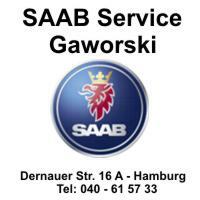 Saab 9-3 II used car prices (up to MY 2007)"
Good contribution! I would say a well-groomed 9 3 I brings in more than a former 9 3 II. These are typical Africa export candidates. Diesel is for the moment unsalable, unless you use Merkel's scrapping bonus 2.0 and switch to another diesel of the usual suspects. What a madness! The red looks really nice! Should not one secure the red one? Whether 1.8i or not ?? If you're looking for a steal instead of a vehicle ... Until you've fixed the possible damage, probably a pensioner car, a lot of short-haul and the car never really warm. If he stood immovable in a barn for 10 years, then yes. For an 9000 with 150 TKm, I would be mistaken today, but not. He ran so little, he actually can not even be filthy. You should not lump it all. It depends a lot on the history and the care condition. Mileage are, in both directions, minor matter the older the vehicle is. With a robust 9k or 900, I would not worry much anyway. Well, we're not talking about an 911 from a Porsche collection here, but from an 9-3 that was not bought at the time for "putting away", but probably as a used car. With the motorization that is to 99% a car of an elderly person who has gone to the doctor or shopping. Since I would look very carefully in which intervals, for example, the oil was changed. The wear, for example, on cups can not be "solved" simply by a fluid change. On the other hand, of course, not every high kilometer is automatically the better choice. If a car with many miles was moved on long-haul routes, saw fresh oil regularly, the wear is minimal and often significantly lower than many of the so-called "retiree vehicles". Of course you have to disassemble an engine so that you can see it. The driving profile of many of these vehicles is very close to what Saab and other manufacturers describe in their manuals as "difficult conditions". The red sedan is already priced in quite witless. Little equipment, unpopular engine and "last inspection at 34tkm" - which is indeed at the average annual mileage also forever ago. The black Combi has no shark fin, but a rod antenna. I've never seen that before. My SportCombi now has 11km on the clock after 220.000 years. There are hardly any signs of fatigue. The car is still fully suitable for everyday use, not of "the day before yesterday" and is fun. For someone who wants to get from A to B every day as comfortable, reasonably modern and reliable, 9-3 II is still a good choice. Older models get with increasing age already various Zipperlein. The 9.3 II is worth considering as an alternative to the winter of rethinking. However, despite all concerns, I am currently "overwintering" on my 9.5 diesel despite 280.000 km. Because the 9.5 NG should be preserved for a long time. Regardless of the described here poor build quality and the slightly unsuccessful material selection in the interior, I personally find the Saab 9-3 II both (and in particular) as a sedan, of course, as a convertible anyway, but also as a combo absolutely timeless and elegant at the same time, which me Whenever you meet one of the above saws, you always put a smile on your face. Of course, this also happens with previous models or with the last built 9-5 NG, but the 9-3 II just did a bit more to me. In 9 years with the 9-3tid; 9-3ttid and the 1.8t had only minor flaws, so I do not want to contribute to the negative aspects, although these are certainly justified. I think this series worth preserving and consider the purchase of a properly maintained vehicle absolutely recommended. The interior design is absolutely successful in my eyes. The recommendation of Tom for the 1.8t engine in conjunction with Hirsch Tuning, I can only confirm. With a deer exhaust system makes the Saab then a little more fun. Assumption: wiring harness. We currently have the game with an 2001er 9-5. Difficult diagnosis. Solution: Bypass at the critical point. Check everyone! Vacuum hoses. 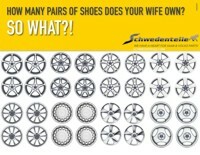 If you have been in the car since 330000km, just swap it. Costs little and often is the fault of a CE fixed. It helps to disconnect the negative pole of the battery for about half an hour!